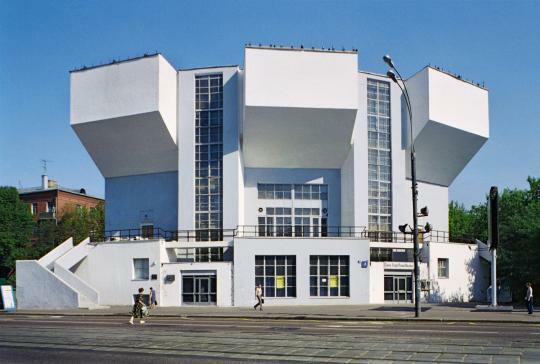 Fired by the Constructivist art that emerged in Russia from c.1915, architects transformed this radical artistic language into three dimensions, creating structures whose innovative style embodied the energy and optimism of the new Soviet Socialist state. 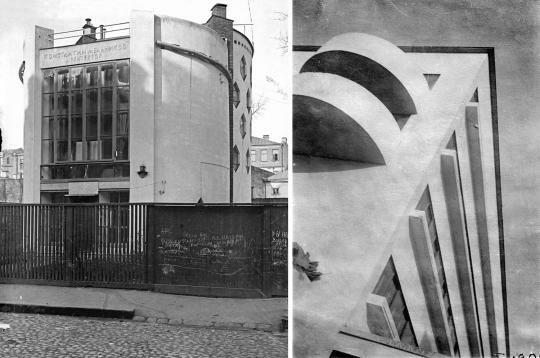 The exhibition juxtaposes large-scale photographs of extant buildings with relevant Constructivist drawings and paintings and vintage photographs. It is the first time that many of the works have been shown in the UK. 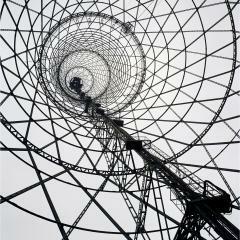 The exhibition explores the interplay between art and architecture during these heroic years. The architecture, which is arranged by building type - residential buildings, industrial facilities, health, recreational and educational complexes, state headquarters and communications structures - is presented through a juxtaposition of Pare’s work and carefully selected vintage photographs of each building either under construction or shortly after completion. These vintage photographs have never been exhibited before. Together they demonstrate the formal innovations in design that reflected the call for new, building types and new functions. These photographic groups are set in dialogue with paintings and works on paper from the Costakis Collection, which demonstrate the vital experimentation of Russian avant-garde artists from c.1915 to 1930, as well as the intense dialogue that developed between them and radical architects, contributing to a new, revolutionary language of architecture.